Summer is almost over, and you’ve burned your way through many of the items on your summer bucket list. Beach visit? Check. Musicians Corner at the Conservancy? Check. Picnic? 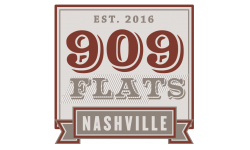 If you need a few ideas for your next summer picnic, 909 Flats has got your back. August is National Picnic Month, and 909 Flats Blog is celebrating with five picnic recipes. This BLT Pasta Salad turns your favorite sandwich into your favorite side. This salad is less messy than your traditional BLT, and a lot easier to transport. We recommend adding chicken, beef, or avocado to this treat if you’d like a little more protein in your dish. Pie is a picnic tradition. Instead of bringing a whole key lime pie to your next work barbecue, try serving this Key Lime Pie Dip instead. This dip is even sweeter and lighter than the original, and—because it’s a dip—serves way more people than your traditional pie. Class up your next picnic with Oscar Tomato Tarts. These bite-sized appetizers taste great and are easy to make. Impress your guests with this tasty treat. This recipe says to toast the sandwiches in a panini machine, but feel free to throw these on the grill! We’ve got nothing against hot dogs or hamburgers, but if you want to try something new and exciting, bring these to your next summer cookout. Summer in Nashville, TN gets hot. Really hot. There’s nothing more important than staying hydrated in the humidity. This Watermelon Lemonade is a great way to keep you feeling cool and refreshed in any weather. 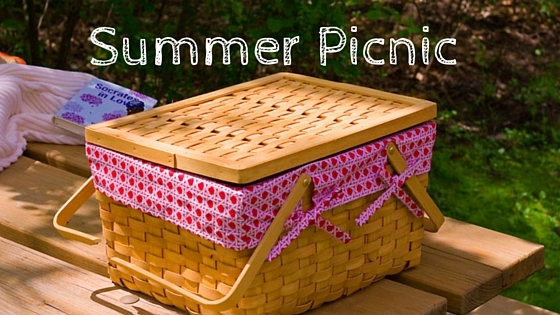 We hope that you’ve enjoyed our list of picnic recipes! Where are your favorite places to have a picnic in Nashville? Any recipes that we should know about? Let us know in the comments!